Give your sales predictions a healthy diagnosis! Each month presents your clients with a breathtaking view of nature along with a helpful health tip they can easily incorporate into their lifestyles. Perfect promotional tool for travel agents, campgrounds, state parks and any other business that finds value in nature and health. 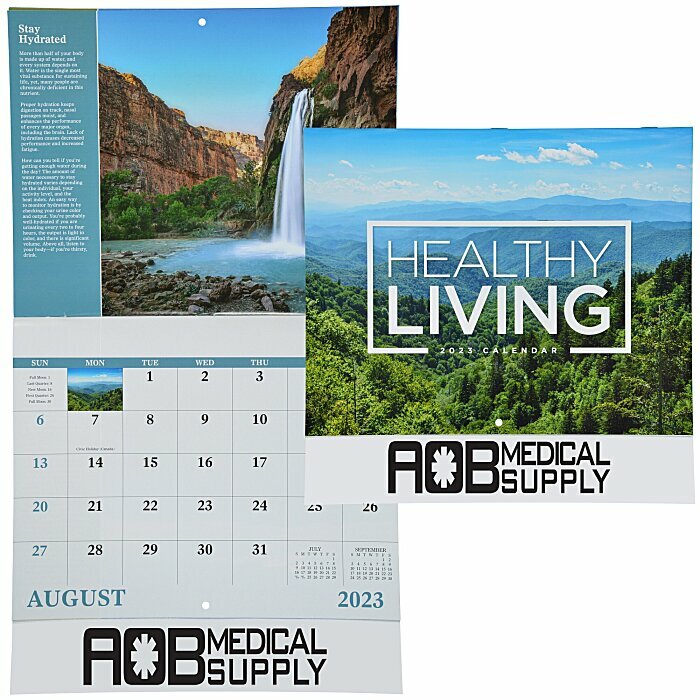 For the spiral-bound version of this calendar, see item #112074-SPHealthy Living Calendar - Spiral; for this calendar with a center window imprint, see item #112074-WDHealthy Living Calendar - Window. Size, open: 19" x 10-7/8" ; closed: 10-1/2" x 10-7/8".